Exclusive to D’Artagnan. Salt Meadow™ Lamb is exceptionally tender, rosy in color and exquisitely flavored, never given antibiotics or hormones, and raised humanely. The unique diet, inspired by traditions from coastal Normandy, includes seaweed which contributes to the remarkable taste and texture. With a little butchering, this lamb loin yields a rack, a boneless loin, a tenderloin, and a bit of belly. Cooking Tips: Salt Meadow lamb has a lovely flavor that needs little more than salt and pepper but is also delicious with fresh herbs or a simple compound butter. 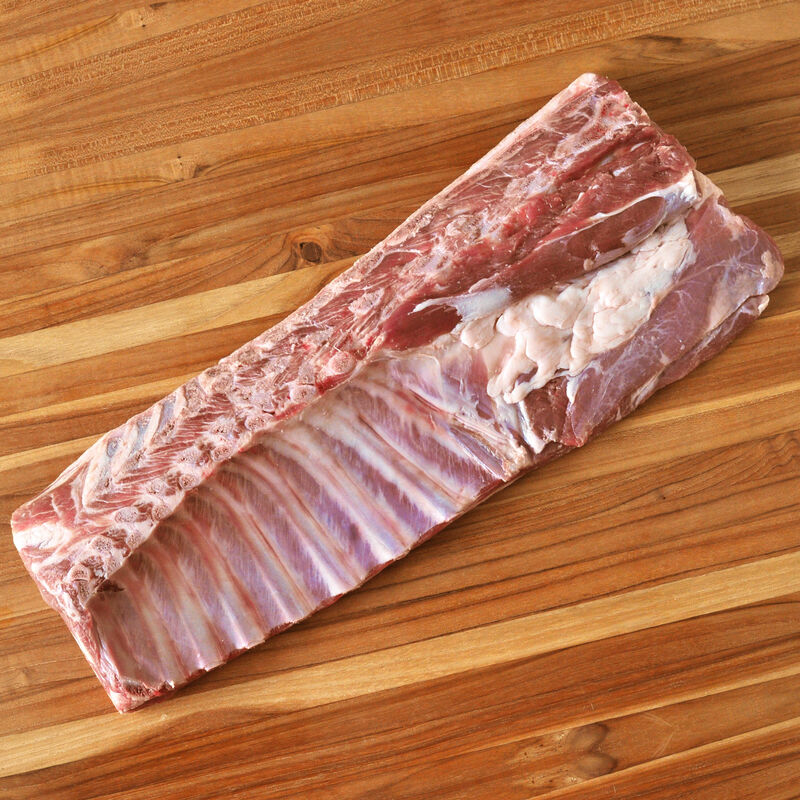 Our Salt Meadow lamb loin is easily broken down into smaller parts - one loin will yield a rack, tenderloin, boneless loin, and a small piece of belly.